When asked to name a list of their favorite electric blues players, most people will cite a lineup of usual suspects: T-Bone Walker, Muddy Waters, The Three Kings (Freddie, B.B., and Albert), Otis Rush, Buddy Guy, Albert Collins, and Stevie Ray Vaughan. 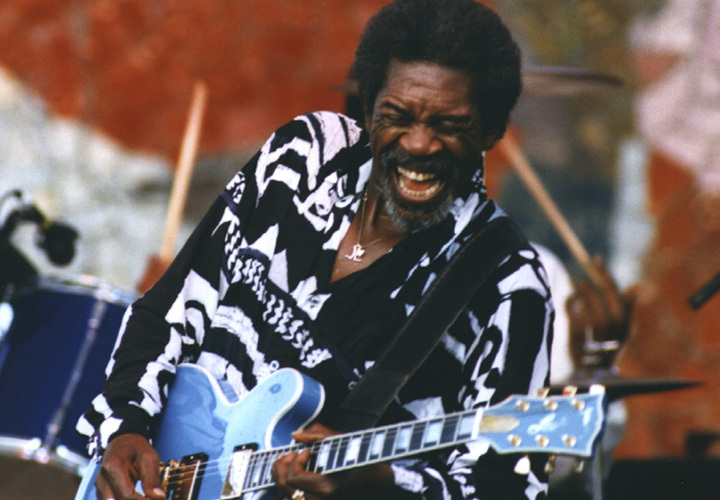 Any true blues-head could keep going for days, but one name that is tragically missing from most lists is the journeyman Chicago blues great Luther Allison. With licks like Freddie King and a vocal range and tenacity that quietly rivaled James Brown, Luther was a master among masters. And that’s arguably the most tragic thing about his legacy—because he was among the masters, he never received his proper due. Having to come up at the same time as Freddie King, Otis Rush, and Buddy Guy—and make a living playing the blues in the same town—is enough to drive any man to greatness, or near insanity. In various points in Luther’s career, you could argue that he was driven to both. Born on August 17, 1939 in Widener, Arkansas, Luther Allison was as much a son of the South as he was of Chicago. The fourteenth of 15 children raised by his sharecropper parents, Luther had to compete for attention from the get-go. The Allisons were a musical family, and Luther would find his initial calling singing Gospel as a child, as well as playing organ and the single-stringed diddley bow. Moving to Chicago with his family in 1951, Luther found himself confronted with the legends of blues living next door. In fact, his nearby neighbor in Chicago was none other than Muddy Waters. Having become friends with Muddy’s son Charles, Luther would end up spending time over at Muddy’s house, watching his band practice while trying to soak up all that he could. After picking up the guitar around the age of 18 at the encouragement of his brother Ollie (a musician himself), Luther ended up forming a band with his other brother Grant, naming themselves The Rolling Stones first before changing their name to the Four Jivers. 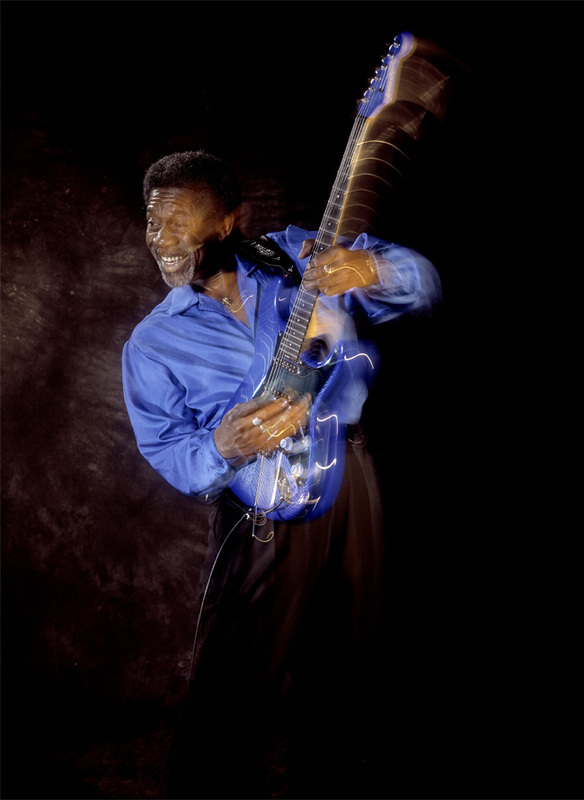 Luther also started gigging out with various groups as a guitarist and bassist, and it was then that he started to catch the ears of blues artists like Otis Rush, Howlin’ Wolf, and Freddie King. The early ‘60s Chicago blues scene ended up being relatively friendly toward Luther Allison. In his first stroke of early luck and success, he became one of the local stars after taking over Freddie King’s weeknight slot at the famed Walton’s Corner Club in 1960. While Freddie served as a friend and mentor to Luther, he’d end up playing in Freddie’s slot for more than five years. In that time he would go head-to-head with the behemoths of Chicago blues in an attempt to stand out among the giants. In between working and gigging on the weekends in Chicago, Luther recorded a set of rough cuts in 1967 that would eventually become his 1969 debut album, Love Me Mama, after the Delmark label was impressed by Luther’s memorable performance at the legend-stacked 1969 Ann Arbor Blues Festival. While the album is one of the better Luther albums, a lot of it plays like the early recordings of a diamond in the rough. In spite of the release of his debut album and a respect in the Chicago area for his abilities, Luther was still struggling to earn a real living making music into his 30s. The early 1970s in general were not a friendly time for most blues artists, but Luther did start to make significant professional progress by signing to Motown in 1972. It was around this time as well that Luther would begin a collaborative and essentially career-long partnership with guitarist James Solberg, a true key to Luther’s sound. Luther was largely known and marketed as the only bluesman to record for Motown (though Luther stated there were others that never surfaced). When he signed to the label, there was a real sense within the Chicago blues community that Luther could break into the mainstream. His string of recordings for them were particularly remarkable, but didn’t sell well—they are still grossly under-celebrated five decades later. While his first two albums, Bad News is Coming and Luther’s Blues, should be heralded as classics of the blues genre (with touches of ‘70s rock, funk, and soul), the third effort for Motown, Night Life, is generally known to be a forced, forgettable attempt to completely de-blues Luther’s sound. Parting ways with Motown after the commercial failure of Night Life, Luther slowly started to refocus his sound. After playing a universally acclaimed set at the 1976 Montreux Jazz Festival, Luther’s star was born in Europe. Releasing Love Me Papa in 1977 on the French label Black and Blue, Luther would return to his purest form—delivering a near masterpiece of a blues record that is still unsung even within Luther’s own catalog. Realizing that he had a much larger potential fanbase overseas compared to his rapidly shrinking audience in the U.S., Luther made the decision to relocate to Paris in 1984 in an attempt to rejuvenate his career. Though he was demoralized at first, this ended up being the best move as he was met with more fanfare and genuine appreciation from European fans than he ever received in his decades of gigging in the United States. He began putting out albums for Ruf Records and more formally collaborating with his own son, Bernard Allison, on his new recorded material and on his ’89 tours. Going into the ‘90s, Luther’s reputation as an unparalleled live performer was only growing internationally. Dating back to his Chicago club days, he was known to extend his powerful live shows for as long as he possibly could. Even in his 50s, Luther’s shows were known to top four hours if the mood struck him. Because of this approach, Luther had become a living saint of the genre in Europe, where he was referred to as the “Savior of the Blues.” Perhaps best for Luther’s soul, America was finally beginning to take notice as well. Even though Luther would make trips back to the U.S. for tour runs during the ‘80s, his signing to Alligator Records in the ‘90s marked the time of his biggest exposure and success in the States. While he’d never officially move back to the U.S., he did record his final studio albums there and would become a mainstay at music festivals across the country. With U.S. comeback albums like Soul Fixin’ Man and Blue Streak, as well as 1997’s Reckless, Luther would essentially sweep the W.C. Handy awards (the Grammys for the blues) from 1995 to 1998, winning Blues Entertainer of the Year multiple times. While all of these records are certainly more than quality recordings, one can’t help but feel like the overwhelming praise thrown on Allison at this time was almost like a lifetime achievement award too. Tragically, Luther would never get to fully realize the fruits of his hard labor in the ways that he dreamed. While performing on stage on July 10, 1997, he was overcome with dizziness and temporarily lost his coordination. After checking into this hospital it was discovered that Luther had inoperable lung cancer that had already metastasized to his brain. A little more than a month after first showing serious symptoms, Luther passed away on August 12, 1997, in a devastating blow to the blues community. While it can be all too easy to glorify the dead, few blues musicians deserve as much praise in passing as Luther Allison does. He was the quintessential live performer until the day he died, an absolute craftsman in his approach to the artform of blues. One of the more interesting parts of Luther’s story as a fan is how he was as a person—as colorful of a character as he was a musician. Luther was known to speak of himself in the third-person at times and to hold himself in high-esteem. The more you listen to him and read about him though, Luther was always aspiring to be the best. When he was cutting heads on the bandstand with Buddy Guy in Chicago, in his own words he was viewing these moments as his own Ali vs. Frazier encounters. When being complimented on his energetic live performances, he didn’t speak of himself in terms of other blues players—he would list his name alongside performers like Michael Jackson and Fred Astaire. 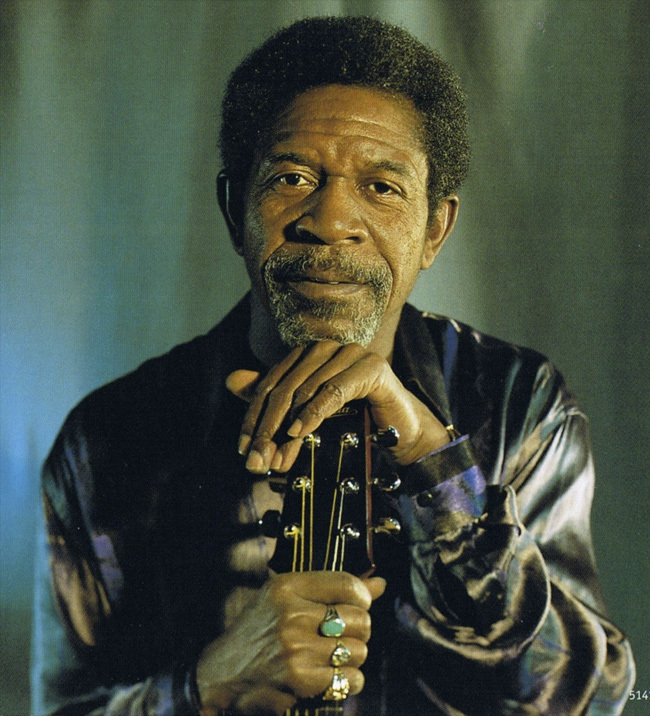 While his legacy may not currently be as cherished as many of his contemporaries, Luther Allison is a musical treasure and a certified King of the Blues of the highest order.